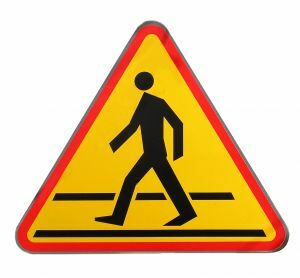 Pedestrian traffic injuries may cause as many as 1.2 million deaths and 50 million injuries worldwide each year. In the United States alone, one pedestrian is killed an average of once every nine minutes. Young children and the elderly are at a much greater risk of pedestrian collisions, and in motorized countries, pedestrian accidents are the second-leading cause of unintentional injury deaths among kids between the ages of five and 14. An article published in the Journal of TRAUMA® Injury, Infection and Critical Care reviewed the history of efforts to prevent pediatric pedestrian crashes and provided some tips on how lives could be saved. Unfortunately, there have been relatively few programs that have succeeded in reducing pedestrian deaths. Drivers need to play a very important role in watching out for kids and helping to ensure they stay safe. Accident attorneys in Connecticut can represent children and families injured by pedestrian crashes and help them to take legal action if a negligent driver causes a collision. Programs designed to prevent childhood pedestrian accidents date back as far as the 1950, when clinicians in the United Kingdom designed a method called the Kerb Drill. This involved making children recite rules in a military style. The Green Cross Code was also introduced, establishing a set of easy-to-follow guides for crossing roads that are still used widely throughout Britain today. In the 1970’s, British doctors formed a Child Accident Prevention Trust (CAPT) to raise awareness among parents and decision makers about how unintentional injuries in children can be prevented. In the late 1980s, the World Health Organization released studies showing that the best way to reduce the rate of childhood pedestrian crashes involved combining education with interventions in the community and the environment. The WHO believes that achieving safety for pedestrian children involves three E’s: education, engineering and enforcement. A program founded in 1987, called the Safe Kids Organization, was established in Washington D.C. and used the WHO’s principles. The goal of Safe Kids was to change attitudes, behaviors, the environment and the law in order to reduce the risk of kids getting hurt. The program is active with education and lobbying efforts at local levels, and Safe Kids programs are available in 150 cities. The Centers for Disease Control and Prevention (CDC) and the National Highway Traffic Safety Administration (NHTSA) have also teamed up to tackle the issue of childhood pedestrian safety. They conducted a multidisciplinary conference in 2002 and experts developed strategies for reducing childhood pedestrian crashes. The results of the CDC and NHTSA efforts confirmed that neither education nor environment modification do enough to single handedly reduce the risk of childhood pedestrian crashes. They should be combined with behavior evaluation and skills training. Focusing on social and environmental risk factors and educating kids has helped to reduce the rate of pedestrian accidents, and thus make kids safer. There is still a long way to go, but safety experts continue to work on developing methods of saving children’s lives.